Mary Marden Velasquez, PhD (velasquez@mail.utexas.edu), is Centennial Professor in Leadership for Community, Professional and Corporate Excellence, Director of the Health Behavior Research and Training Institute (HBRT), and former Associate Dean for Research (2006-2013) at the University of Texas at Austin Steve Hicks School of Social Work. Dr. Velasquez holds a master’s degree in clinical psychology and a Ph.D. in behavioral sciences, with a minor in biostatistics, from the University of Texas Health Science Center-School of Public Health. Prior to moving to UT-Austin, Dr. Velasquez served on the research faculty in the Psychology Department at the University of Houston from 1995-1999 and as faculty and Director of Research in Family and Community Medicine at the University of Texas Medical School at Houston from 2000-2006.Her program of research focuses on the development and implementation of interventions using the Transtheoretical Model and Motivational Interviewing. With over 20 years of continued support from the National Institutes of Health and the Centers for Disease Control and Prevention, Dr. Velasquez has developed and studied behavioral interventions in the areas of integrated primary care, screening and brief interventions, fetal alcohol spectrum disorder, alcohol and other drug abuse, prenatal health, HIV prevention, and smoking cessation. A more recent emphasis has been on teaching graduate students and health professionals to use brief motivational interventions in medical settings. She also serves as reviewer (eff. 10/16) on NIH-Center for Scientific Review Interventions to Prevent and Treat Addictions (IPTA) study section.Dr. Velasquez is an internationally recognized trainer in both Motivational Interviewing and the Transtheoretical Model, and is a founding member of the Steering Committee for the International Motivational Interviewing Network of Trainers. Her list of publications—available through her PubMed/NCBI bibliography —includes more numerous peer-reviewed journal articles, books, and book chapters. Kirk von Sternberg, PhD (vonsternberg@mail.utexas.edu) , Associate Director of HBRT, is Associate Professor in the UT Austin Steve Hicks School of Social Work. 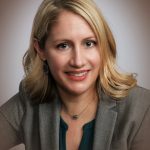 Dr. von Sternberg has a master’s degree in social work from the University of Houston and a Ph.D. in behavioral science from the University of Texas Health Science Center-School of Public Health.Dr. von Sternberg has more than two decades of experience in designing and implementing large clinical trials to test interventions based on the Transtheoretical Model and Motivational Interviewing (MI). 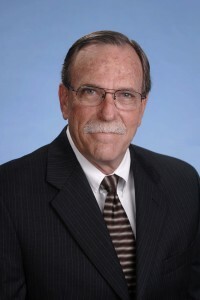 As an investigator, he was responsible for study design and data analysis on several large NIH and CDC funded randomized controlled intervention trials addressing risk of alcohol-exposed pregnancies, alcohol and safer sexual practices, STI screening, cocaine abuse, and screening and brief interventions for alcohol and drugs in medical settings to name a few. He was co-principal investigator / co-investigator on the recently completed CDC-funded CHOICES Plus intervention trial to prevent alcohol- and tobacco-exposed pregnancy, and a NIDA-funded trial to test screening and brief intervention for drugs in a level 1 trauma setting. Dr. von Sternberg has particular interest in the mechanisms of change and recently was the primary data analyst on a study to examine the intervention tapes from the successful Project Choices Efficacy trial. He is currently involved in psychometric analyses of process of change assessments to develop briefer measures for use in a computer adaptive testing format (CAT). 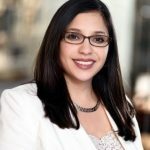 Yessenia Castro, PhD (ycastro@austin.utexas.edu), is Associate Professor in the Steve Hicks School of Social Work. Recipient of a recently completed K01 career development award from the National Cancer Institute (2011-20117), she is PI on the current study, "Assessing smoking dependence among Spanish-speaking Latino smokers," (R21 MD011431), funded by the National Institute on Minority Health and Health Disparities. Dr. Castro's research focuses on disparities‐related research among minority and underserved populations, with an emphasis on smoking cessation among Latinos. More specifically, her research examines how cultural variables, including acculturation, gender, and minority status stressors, combine with known key determinants of smoking to affect determinants of smoking and smoking relapse. She is also involved in collaborative research examining the influences of a variety of social and intrapersonal factors on smoking and alcohol use behavior in racially/ethnically diverse populations of low socioeconomic status and other special populations of smokers. Dr. Castro earned her doctoral degree in clinical psychology from The Florida State University in 2008 and completed her postdoctoral training cancer prevention health disparities at The University of Texas MD Anderson Cancer Center in Houston. 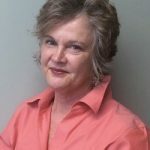 Catherine Cubbin, PhD (ccubbin@austin.utexas.edu), is Associate Dean for Research and Professor in the Steve Hicks School of Social Work, and Faculty Research Associate at the Population Research Center at UT Austin. Dr. Cubbin’s research focuses on using epidemiological methods to better understand socioeconomic and racial/ethnic inequalities in health for the purpose of informing policy. Specific areas of her research include using contextual analysis to investigate how neighborhood environments may explain social inequalities in health, and the measurement of socioeconomic status/position in studies of racial/ethnic disparities in health. Using national and statewide representative data sets, she has studied social inequalities in injuries, cardiovascular disease, health behaviors, mortality, and maternal, infant, and adolescent health. As principal investigator on studies funded by the American Cancer Society and the Cancer Prevention Research Institute of Texas, she is currently investigating the effects of environment on smoking, obesity, diet, and access to screening and preventive health services. Dr. Cubbin received her PhD in Health and Social Policy from the Johns Hopkins University Bloomberg School of Public Health in 1998. Her postgraduate training includes CDC fellowship at the National Center for Health Statistics, NIH postdoctoral fellowship at Stanford University (2000), and NIH Health Disparities Scholar (2001-2006). Since 1997, she has been a coordinating committee member of the Spirit of 1848, a caucus of the American Public Health Association which focuses in issues related to health and social justice. She has published widely in public health and medical journals, including the American Journal of Public Health, Journal of the American Medical Association, and American Journal of Epidemiology; Dr. Cubbin’s publications list is available on her PubMed/NCBI bibliography. 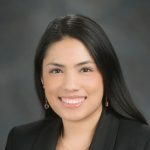 Mercedes Hernandez, PhD, LCSW (mercedeh@utexas.edu) is Assistant Professor at the Steve Hicks School of Social Work. She completed training as a postdoctoral scholar at the University of Southern California working in a National Institute of Mental Health-funded project examining the duration of untreated psychosis among Latinos. Her research interests are informed by her extensive clinical practice experience in community mental health settings and focus on mental health disparities among racial and ethnic minorities. Dr. Hernandez received support from the National Institute of Mental Health for her research on the role of protective factors in outcomes among Latinos with schizophrenia and their families. In Fall 2017, she was awarded an NIAAA Diversity Supplement under parent grant R01 AA022924 (PI: Velasquez). The parent study is a randomized controlled trial testing tablet-delivery of CHOICES4Health, a behavioral health intervention targeting alcohol-, tobacco-, and marijuana-exposed pregnancy. 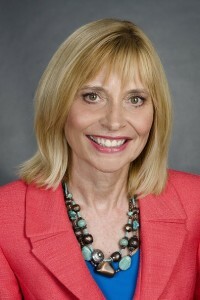 Dr. Hernandez’s supplement study will examine potential cross-cultural differences in intervention outcomes and the process of behavior change by sociocultural variables including race/ethnicity, acculturation, mental health conditions, and by treatment delivery (person-delivered versus computer tablet-delivered) among women participating in the intervention. 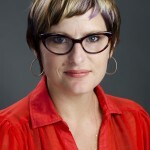 Danielle Parrish, Ph.D., is Associate Professor at the University of Houston Graduate College of Social Work. Dr. Parrish completed her Ph.D. at the UT Austin Steve Hicks School of Social Work, and post-doctoral research training with the Health Behavior Research and Training Institute. Dr. Parrish is interested in developing brief, integrated prevention interventions that have broad reach and impact for women and adolescents. Dr. Parrish’s primary research focuses on adolescents at risk of substance-exposed pregnancy and HIV/STIs. She was the principal investigator on a recent R03 study funded by the National Institute on Drug Abuse that adapted the CHOICES intervention for female youth in juvenile justice settings to reduce the risks of alcohol and tobacco-exposed pregnancy and HIV/STIs. She has served as a co-investigator on the CDC-funded CHOICES Plus intervention trial and is currently serving as co-investigator on the NIAAA funded CHOICES4Health intervention trial. Dr. Parrish’s research also focuses on the development of interventions to treat youth social anxiety disorder. In both lines of research, Dr. Parrish is particularly interested in using technology to increase efficiency and reach of interventions. A third focus of Dr. Parrish’s scholarship focuses on the teaching, broad dissemination and implementation of evidence-based practice in social work. Prior to receiving her doctoral degree, Dr. Parrish worked as a clinical social worker in the following public mental health settings - juvenile justice, outpatient children’s mental health and infant mental health. 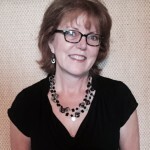 Anita Prewett, MS, MA (anitaprewett@austin.utexas.edu), is HBRT Project Manager. Ms. Prewett is a Certified Research Administrator (CRA) with two decades of experience in federal research administration in both university and community agency settings. 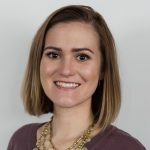 With master's degrees in library science (Columbia University) and media studies (UT Austin Radio-TV-Film), Ms. Prewett is highly skilled at coordinating, tracking, managing, and reporting on complex research, evaluation, and training projects. She is also expert at identifying, accessing, and presenting information appropriate to the needs of diverse constituencies. Leslie Sirrianni, LCSW (lsirrianni@austin.utexas.edu) is HBRT Training Coordinator. A member of the international Motivational Interviewing Network of Trainers (MINT), Ms. Sirrianni earned her MSSW degree from UT Austin and is a Licensed Clinical Social Worker (LCSW). 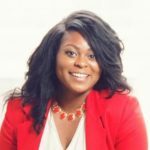 She works with HBRT senior trainers to coordinate and deliver MI training, coaching, coding, and supervision to clinicians, human service providers, and program staff from diverse work settings. She was a member of the clinical team on HBRT's recently completed NIDA-funded Traumatic Injury Prevention R01 study (PI: Dr. Velasquez and Dr. Craig A. Field). Before joining HBRT, she was program manager and clinical therapist delivering interventions in support of the NIMH-funded study, “Telehealth Problem-solving Therapy for Depressed Homebound Older Adults”(PI: Dr. Namkee Choi). She also has provided direct counseling services to homebound older adults through the Counseling Services Department of Family Eldercare, a local nonprofit service organization, and is a long-time CASA volunteer. Kyndal Hammock, BSW (kyndalhammock@austin.utexas.edu) is research associate on the NIH-funded Choices 4 Health R01 study. Ms. Hammock received her Bachelor of Social Work and Bachelor of Arts in Psychology from Auburn University, with a minor in Human Development and Family Studies. Kyndal has experience working with low-income maternity patients in OB-GYN settings, and is passionate about health promotion and prevention efforts within underserved and at-risk populations. Ugonna Uba, LMSW (ugonna.uba@austin.utexas.edu) is a Behavioral Health Specialist for the Choices4Health project. Ms. Uba received her Bachelor of Science in Psychology with a minor in Spanish from Oregon State University, completed a year of AmeriCorps in Chicago, and received her Masters of Social Work degree from University of Houston, with a specialization in Health and Behavioral Health. Ms. Uba has been a Licensed Master Social Worker since 2016, and is working on obtaining her clinical hours towards her LCSW licensure. Ugonna has experience working with at-risk youth who have high-risk behavioral issues, and case managing children and youth who have physical, behavioral, and/or mental disabilities. Ugonna is passionate about promoting behavioral and mental health services to at-risk populations. Liza Barros Lane, PhD, LMSW (liza.lane@bcm.edu) is project coordinator and behavioral health specialist for the Choices4Health project, and postdoctoral research associate at Baylor College of Medicine. Dr. Lane received her MSW and Ph.D. at the University of Houston, Graduate College of Social Work. Before joining HBRT, she coordinated various funded research projects that focused on the mental health and experiences of undocumented immigrant families and unaccompanied migrant youth (PI: Dr. Jodi Berger Cardoso). She has also worked on evaluating programs and coalitions that serve survivors of human trafficking. 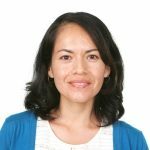 Her research focuses on the financial capability and behavioral health of first-generation Latino immigrants. Prior to entering social work, Dr. Lane was a bilingual 4th grade teacher at a Title 1 school in the Houston area. Sharon Lee, MSW, a social work doctoral student whose research focuses on risky health behavior change (alcohol and drugs) and mental health. Maria Hernandez, a pre-med senior majoring in neuroscience. Rosamaria Marquez, a pre-med senior majoring in biochemistry. Kimberly Corona, a junior pursuing a BSA in biochemistry with a Spanish minor. Martha Cardenas, a sophomore pursuing her BS in biology. Yeonwoo Kim, MA, a social work doctoral student who is working with Dr. Catherine Cubbin on environmental factors contributing to health disparities. Annette Leija, MA, a doctoral student in the School Psychology program at UT-A College of Education who is working with Dr. Castro on the NIH-funded study assessing smoking dependence among Spanish-speaking Latino smokers.